April 3, 2014, 2014 Intel Developer Forum (IDF) has been carried out the next day. 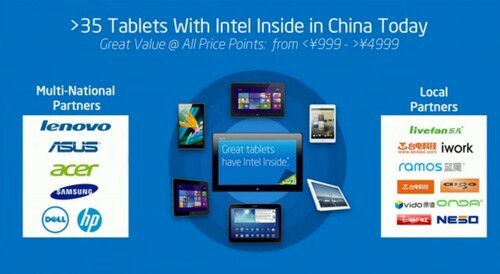 LiveFan as Intel tablet important partner, was invited to participate. In addition to LiveFan F3 S/F4 unveiled two new products, the music executives who gathered IDF, which shows the importance of music where the conference. IDF keynote speech is the highlight of each session, speakers April 3 has Intel's senior vice president and general manager of the PC client division Shi Haode, global vice president of Intel Corporation, Friends of Hal and general manager of Intel's Mobile Communications Division, Global Vice president, general manager of software and service fees Dominicans Division. Three speakers who were on reshaping PC, Mobile Innovation for a wonderful speech. In his keynote address, Intel highly affirmed the LiveFan the Tablet PC Partner status, IDF venue Shenzhen, Shenzhen enterprises to increase efforts to support local enterprises in Shenzhen where as unique, will scale new heights. As the Win8 tablet music where the first brand, focused Windows tablet development and sales of five years on the market analysis and product development orientation has unique insight, and Intel Microsoft works closely upstream business on product innovation ahead, leading the new Win8 tablet Standards reached at IDF win8 tablet strategy with Microsoft sense of cooperation will involve joint development, customization, and many other exclusive cooperation has become an important partner of Microsoft's global win8. IDF Microsoft announced its partners offer free Windows8.1 tablet operating system, involving free tablet requires 9 inches, and 10.1 inches of Win8 flat license fee will be a great decline. 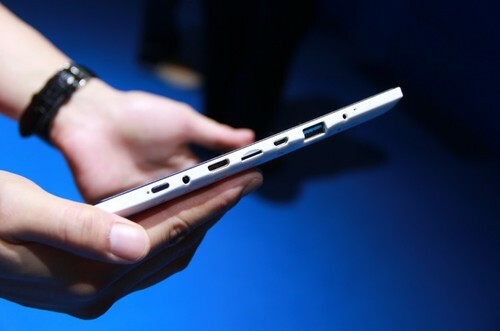 LiveFan leaders revealed that the LiveFan 8-inch push Win8 tablet, to work with Microsoft to promote the popularization Win8, vigorously improve Wn8 tablet market share. The debut of the new LiveFan F3S LiveFan many highlights, so I surprised one: LiveFan F3S first USB / DC dual charging mode, speed DC charging for the traditional DC charging mode; Convenient Micro-USB charging for emergency charging mode , the music is no longer limited to places where the F3S charge, limited to charging port. Exclusive use of LiveFan F3S OBS integrated design, the internal structure is more sophisticated, space-saving 30%, based on the thinness does not affect the perfect equipped with dual USB ports, it is exclusive speed USB3.0 transfer speeds. Besides the original LiveFan F3S Magnetic Docking keyboard holster, a unique four national patents, multi-touch panel, enter a zero delay, three times the speed of Bluetooth keyboard . 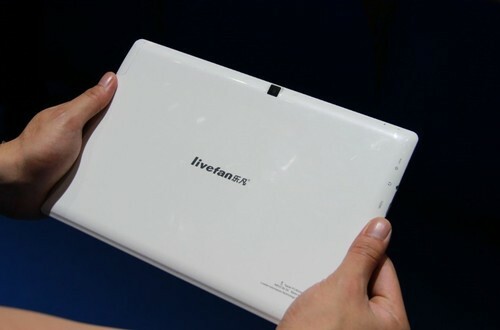 I believe LiveFan F3S differentiated design will win market acceptance, but the new standards will lead Win8 tablet. Intel IDF held in Shenzhen, as the indigenous innovation partners to provide a more convenient platform, the arrival of the core opportunities influx of prospectors bound, LiveFan industry as a Win8 tablet brand, will leverage the core opportunities, weaknesses, leading Win8 tablet core standards for the market to provide more and better products, so Win 8 tablet into the people's living area, ---LiveFan .